Posted on October 29, 2015 By Communication Arts + Design, Inc.
Communication Arts + Design, Inc. presented “Kitchens for Entertaining: Get the Essential Mix for the Consummate Party Experience” at WestEdge 2015. 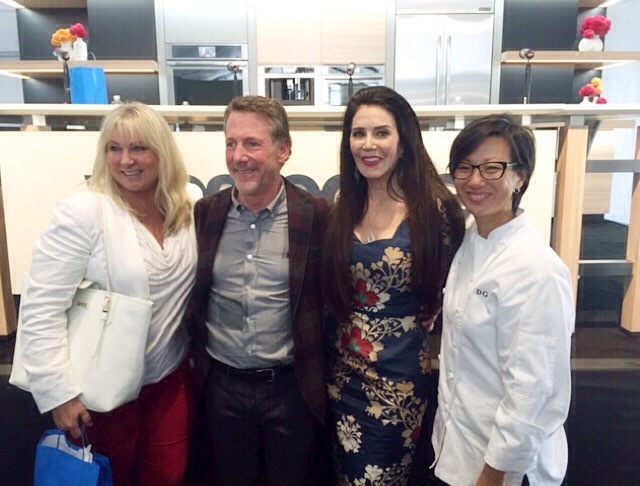 The panelists discussed all of the dream kitchen attributes and accessories key for flawless entertaining…leaving the audience thoroughly design inspired and hungry for Spago pastries. Pictured: (From L to R): Laurie Haefele, kitchen specialist/owner at Haefele Design; Russ Diamond, owner/president of Snyder Diamond; Barbara Lazaroff, co-founder of Spago and founder of Imaginings Designs; Della Gossett, Executive Pastry Chef at Spago.